Allergies, skin and coat problems, arthritis, tumors, cancer, cataracts, strokes and heart diseases lead to suffering and premature death in our pets. 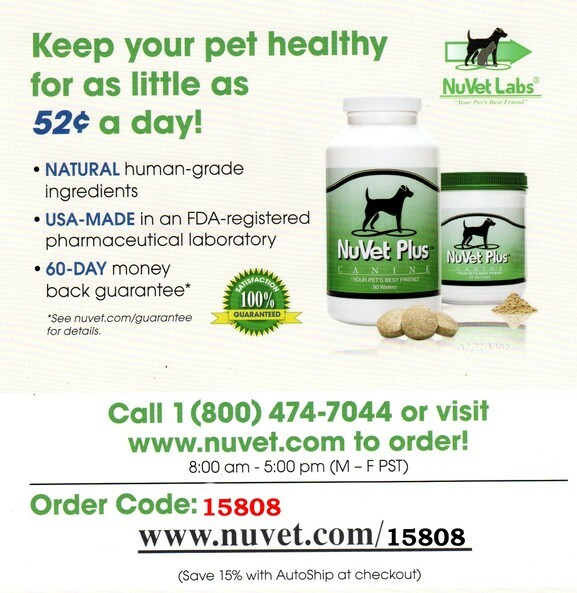 The Veterinarians, Physicians, Pharmacists, and Nutritional Scientists of NuVet Labs (TM) have blended a precise combination of human grade, natural vitamin, minerals, herbs and antioxidants PROVEN to combat the ravages of free radicals. Puppies and kittens to senior dogs and cats should start on the path of disease protection today. 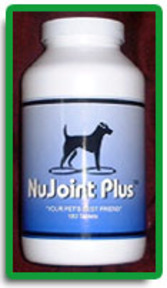 NuJoint Plus™ is a natural anti-inflammatory hip and joint therapy, formulated with the finest pharmaceutical, human grade ingredients.Major considerations in formulating NuJoint Plus™ were the pharmaceutical grade quality of ingredients and their healing values, as well as the bio digestibility and utilization into the cellular framework. 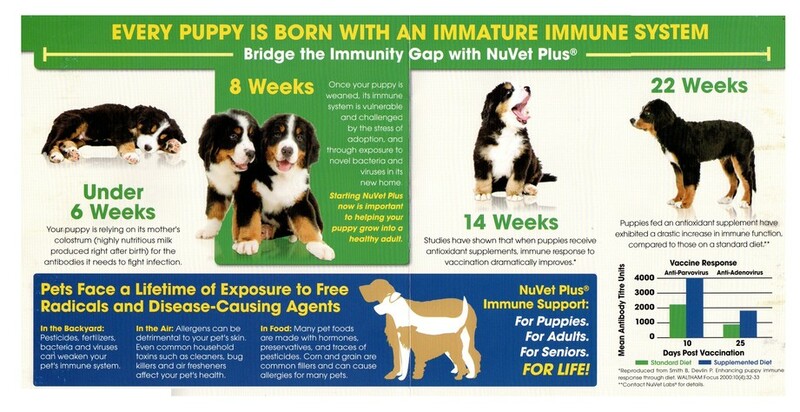 NuJoint Plus™ has been formulated by leading Veterinarians and Scientist to contain precise percentages of Glucosamine, Chondroitin, Methylsulfonylmethane (MSM) and Vitamin C which will help to quickly and effectively reverse and heal the devastating effects of osteoarthritis.NuVet Labs™ has designed a cutting edge formula that we believe will help increase your pets longevity and quality of life. Our scientists performed extensive research and experiments with the ingredients in NuJoint Plus™, finding the most powerful synergistic defense against the harm caused by osteoarthritis.